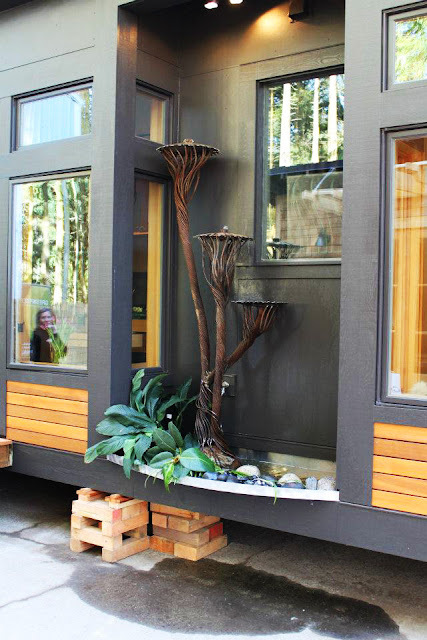 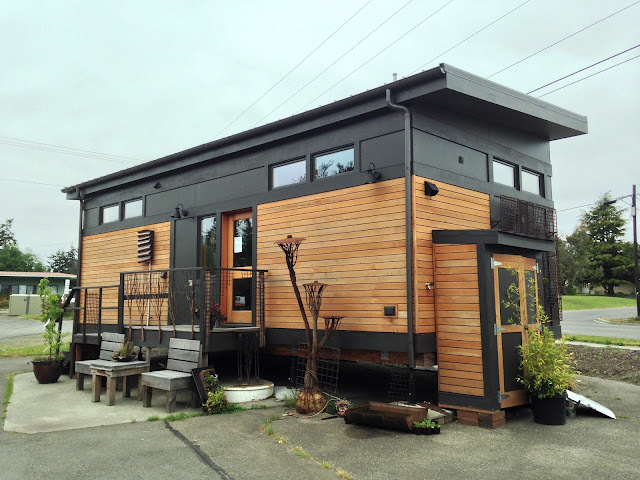 This 450 sq ft prefab tiny house is both stunning and sustainable. 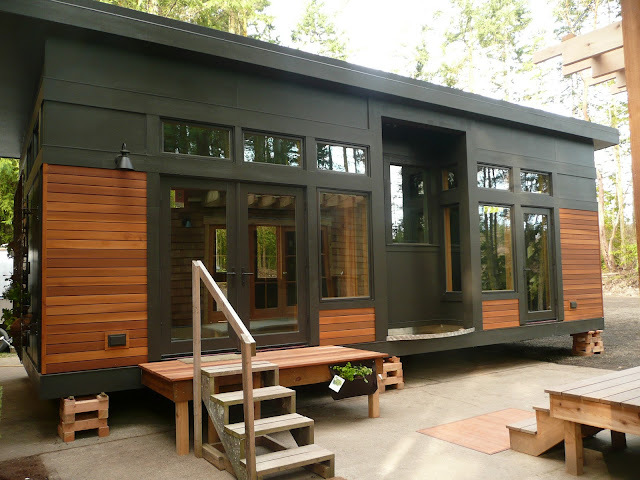 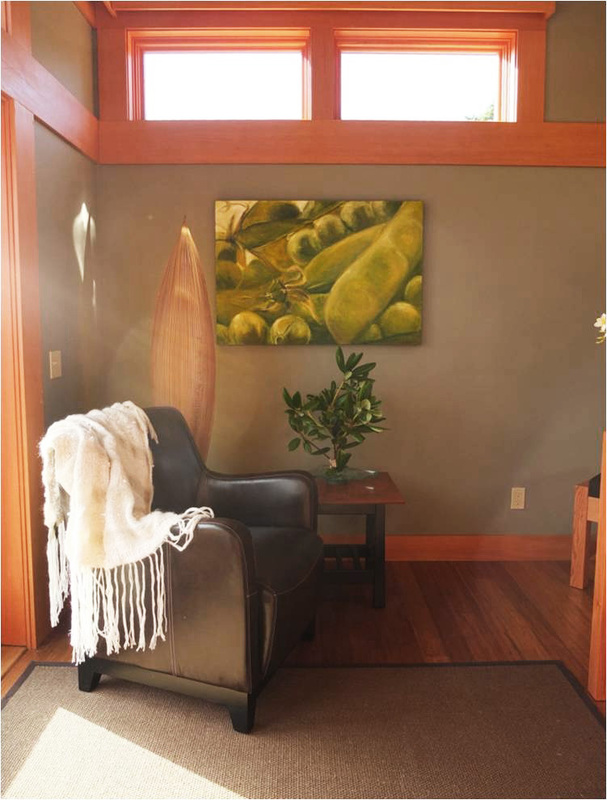 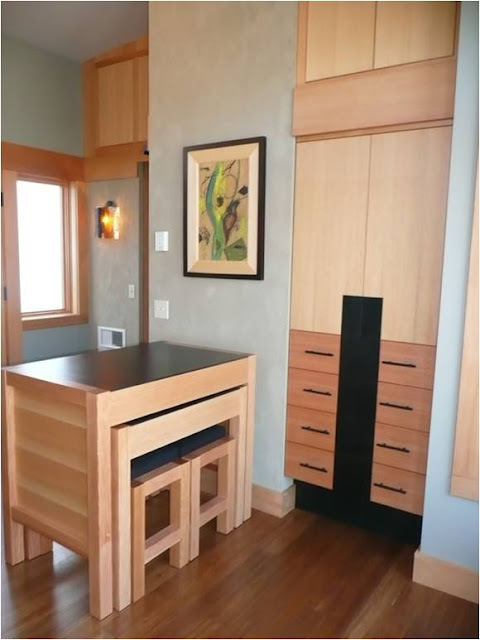 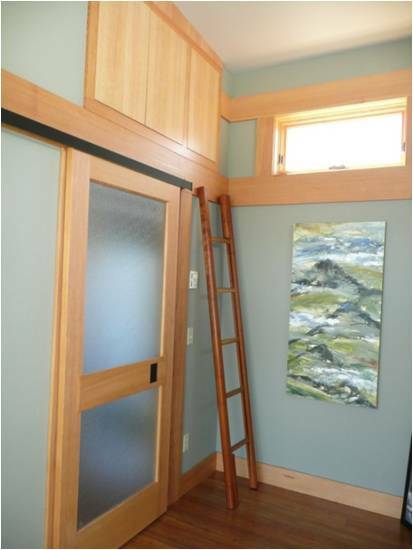 Built by Green Pod Development, a company based in Townsend, Washington, the home is made to be eco-friendly using a number of sustainable and energy efficient elements. 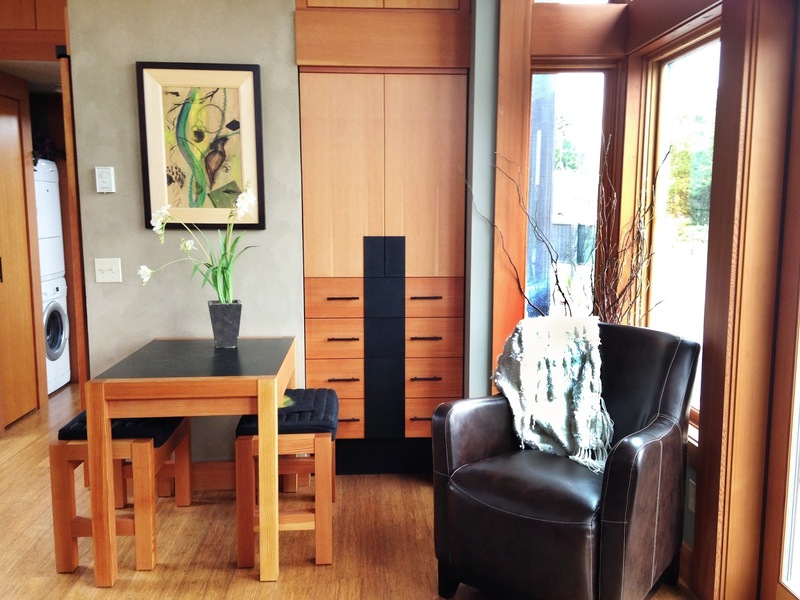 The home also comes furnished with locally made items constructed out of sustainable and/or recycled materials. 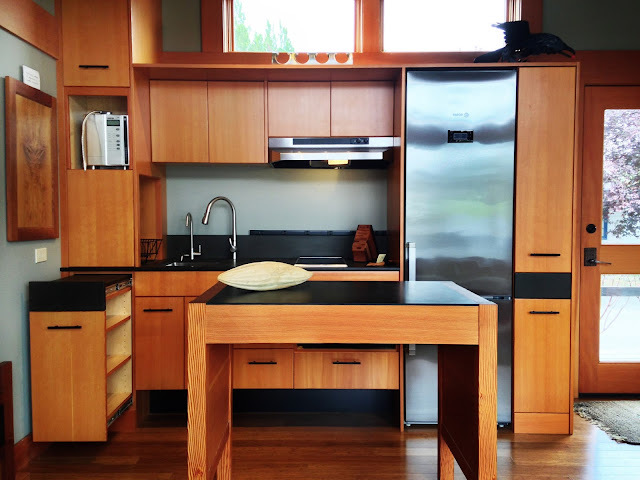 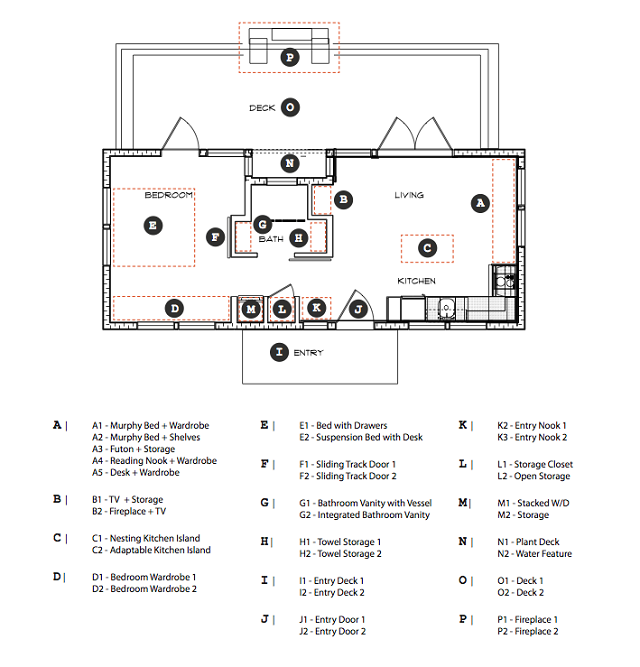 For power and energy, the home features LED lighting, induction cookware, and a passive solar design with a solar panel roof deck option.